A Georgian silkwork depicting a young woman gathering Lily-of-the-Valley, within a period gilt gesso frame with a verre églomisé mount. 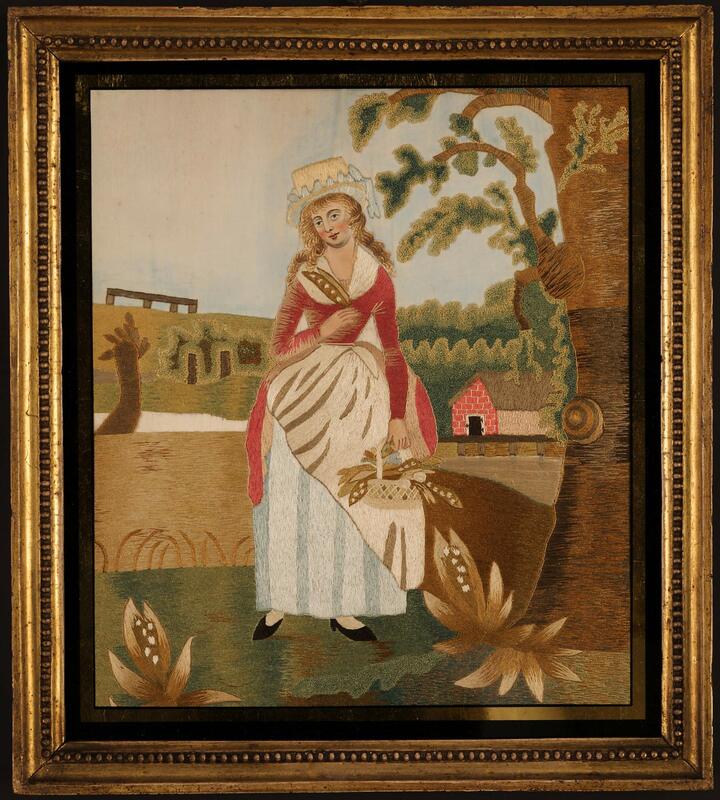 The producer of this picture has demonstrated a higher than usual level of skill; the painting of the face is particularly sensitive and there are more than the usual number of different stitches employed for the many various elements in the scene. English, George III, circa 1790.